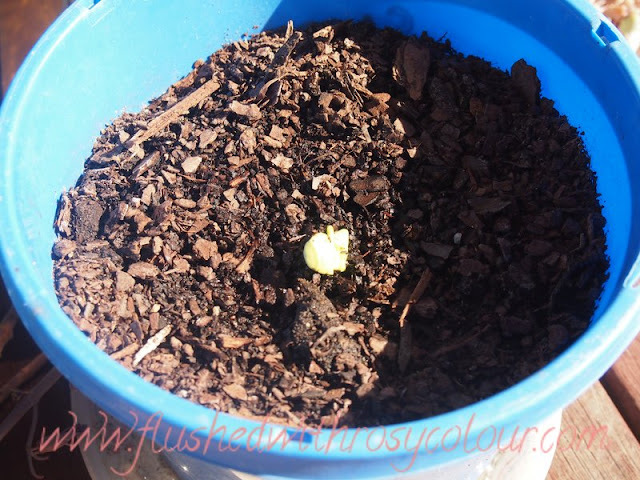 I am so very excited to see my first potted cotton sprout appear! My husband gave me 20 cotton seeds for our 2nd wedding anniversary, which of course was the best. present. ever. 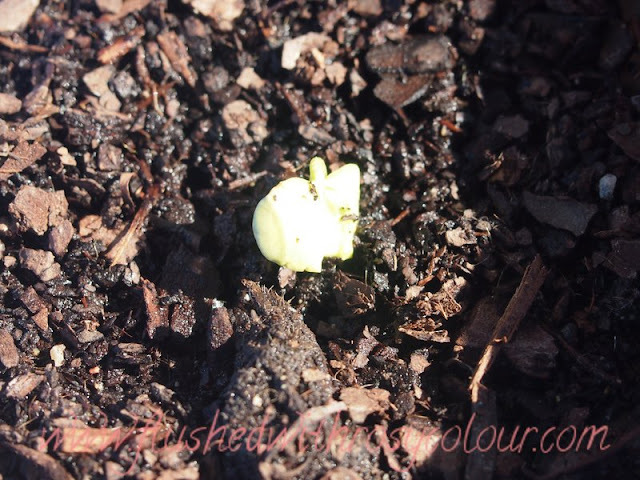 I planted the first seed last weekend, and it finally poked through Monday on day 8 after planting. After some reading, I planted the seed less than an inch under the soil, which was rich compost in a 4 inch diameter pot. It's in a sunny position that gets some good afternoon sun, and cotton does prefer the warmth. The pot has a saucer, because cotton also likes a good drink every day and doesn't like it's roots to dry out too much. 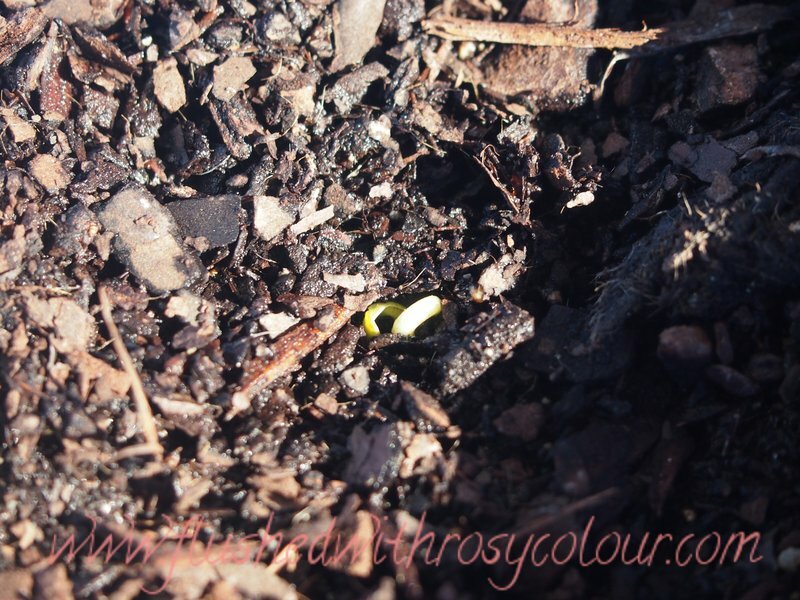 Now winter is suddenly over and any chance of any chill resembling frost is long gone, it was time to plant the first seed. I decided to just plant the one seed to see if it would sprout. I'd love to try and see every seed sprout, but apparently not all the seeds will germinate. I was beginning to worry when the sprout had not appeared by day 6 so gently scrapped away a tiny bit of soil, and then I did so again on day 7. Then on day 8 she finally appeared, one day late! On Tuesday, I could see her first leaf. I will plant another seed very soon, I hope to maybe plant 3 to 5 seeds for this first season. Next time I won't plant so deep, maybe half an inch. I won't plant all my seeds now, because I'm still learning and I could waste them all. Also because, on the other hand, they might turn out wildly successful, and what then could I possibly do will All That Cotton??? hehehe!